Shamrock Rovers beat ten-man Sligo Rovers 2-0 at Tallaght Stadium on Friday night. Second-half strikes from Dylan Watts and Gary Shaw ensured the home side made the most of the Blues’ slip up in Limerick. Seamus Sharkey was dismissed late on. 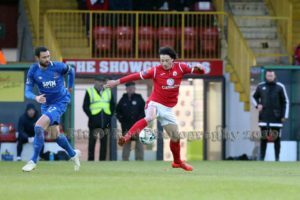 The Bit O’ Red hadn’t beaten their hosts in Tallaght in almost five years. Aaron Greene was on the score sheet for the visitors that night in 2013 and was involved in the Hoops’ first sight at goal just short of the quarter hour. The winger picking out the run of Dan Carr who got an outstretched foot to the ball, but was crowded out by a host of Sligo defenders. Ger Lyttle’s side almost hit the lead two minutes later. Stand in right full Jack Keaney played a quick one two with Lee Lynch. Keaney, in space on the right, found the waiting David Cawley, who saw his first time effort rattle the Shamrock Rovers crossbar. 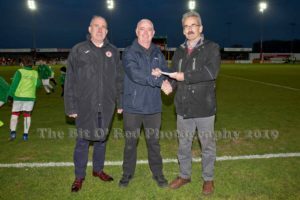 The Dubliners weathered a bright Sligo spell and created further chances through Joel Coulstrain and Dylan Watts. Coulstrain allowed the ball run across his body before shooting narrowly wide of Mitchell Beeney’s far post. 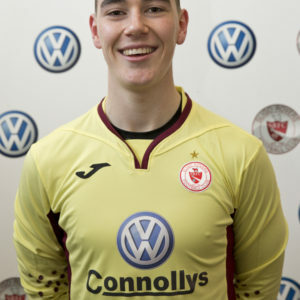 The Sligo goalkeeper sprung into action in the 33rd minute. His defence were caught ball-watching at the edge of their own area as the alert Watts took control. His subsequent effort palmed away by the ex-Chelsea stopper. The Hoops continued to worry Sligo with Greene in the thick of the action. Keaney doing just enough to distract Coulstrain who nodded Greene’s cross wide. While Carr had to improvise when his header with back to goal was claimed by Beeney, courtesy of another Greene ball from wide. Greene, unmarked in front of goal, was just inches off Finn’s free-kick moments after the re-start. The westerners forced Alan Mannus into his first save of the evening on 54 minutes. 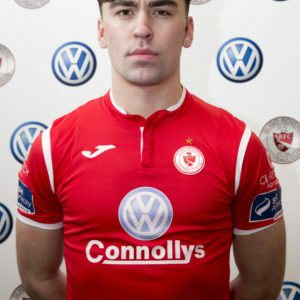 Rhys McCabe’s superb through ball offering Mikey Drennan with the opportunity to hammer the ball towards the top corner. Mannus reacting well to thump the ball away. Sligo had to rely on centre half John Mahon on the hour mark. Finn trapping the ball 20 yards from goal before unleashing a shot which took a touch off the young defender before drifting past Beeney’s far post. Stephen Bradley’s side enjoyed a period of sustained pressure and made it count on 66. Finn outpacing Keaney on the left side before his cross was pushed out to Coulstrain on the opposite side. His return ball was miss-hit by Carr but Sligo could do little about the ball falling to Watts who struck from eight yards, for his first goal in green and white. 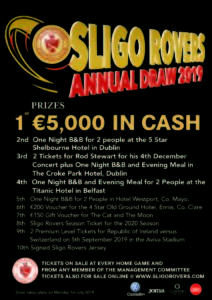 Sligo’s night was made all the worse eight minutes from time when Sharkey was shown his second yellow after a late challenge on substitute Aaron Bolger. The Dubliners put the result beyond doubt four minutes from time. Beeney spilling Finn’s drive at goal into the path of Shaw who was left with a relatively simple finish. 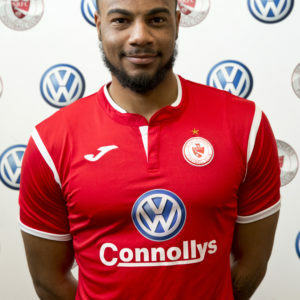 Shamrock Rovers: Alan Mannus; Sam Bone, Lee Grace, Roberto Lopes, Ally Gilchrist; Greg Bolger (Aaron Bolger 80), Ronan Finn; Dylan Watts; Joel Coustrain, Aaron Greene (Gary Shaw 77); Dan Carr (Brandon Kavanagh 70). 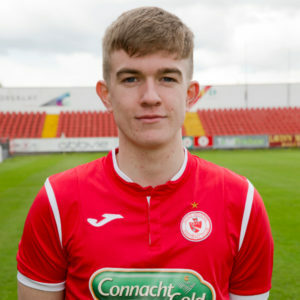 Sligo Rovers: Mitchell Beeney; Jack Keaney, John Mahon, Seamus Sharkey, Regan Donelon; Rhys McCabe, David Cawley; Kris Twardek (Liam Kerrigan 65), Lee Lynch, Caolan McAleer (Darren Collins 77); Mikey Drennan (Patrick McClean 85).